To give more visibility and commercial boost to emerging fashion brands and designers. This is the aim of the contest organized by 080 Barcelona Fashion and the Rec.0 pop-up stores festival that today opens the call for the third edition. The winner will be able to participate with a free pop-up store in the upcoming winter edition of Rec.0 festival, which will be held in Igualada from November 7th to the 10th. This initiative is aimed to both brands and designers that can present their work until October 18th through Facebook. Ten finalists will be chosen by popular voting and, among them, a professional jury will select the winner,who will know the decision on October 25th at the NU#02 store in Barcelona. Ithe jury of this third edition is formed by designer Txell Miras, the fashion journalist Peté Soler, a member of the 080 Barcelona Fashion and a member of Recstores. They will be in charge of picking the successor of 113 Maison, the winner brand of the contest’s 2nd edition. 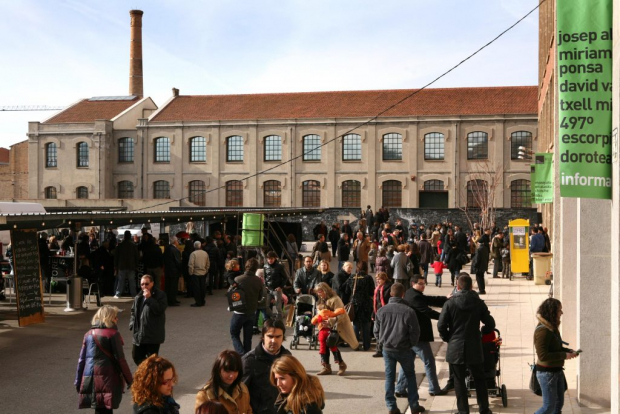 Regarding the upcoming winter edition of Re.0, the festival will fill once again Igualada with fashion, live music and food stalls distributed across 50 industrial spaces of the iconic Rec district in Igualada. An experience that attracts around 120,000 visitors in each new edition. Save the date!